Although it may be hard to keep track of everything that can be recycled or reused, the reality is ‘garbage’ that can be rerouted from the landfill to our recycling depot go far beyond aluminum cans. Not sure where to start? Our team at Happy Stan’s Recycling rounded up 4 common household items that shouldn’t be trashed, but recycled instead. Metal Keys and Locks: Easy to lose and easy to replace, it’s pretty typical to have a growing pile of keys and locks that seemly don’t belong to anything. Though they cannot be left in your curbside blue bins, they are accepted at various recycling depots, including ours! When recycled, keys can be melted down and used to create other keys and metal items. Drywall: Renovating your home or office space? If you’re knocking down or putting up walls, the project can quickly become messy. Avoid the mess altogether and contact us for a junk removal bin, which can be left onsite during your renovation. Once filled, we will transport it back to our facility and recycle the drywall for you. Car Tires: When no longer suitable for vehicle use, rubber tires can be recycled into hot melt asphalt and other tires, or reused and upcycled into swings in playgrounds and exercise equipment. Since they are non-biodegradable and run the risk of leaching toxins into the ground, it’s very important that tires are recycled properly. 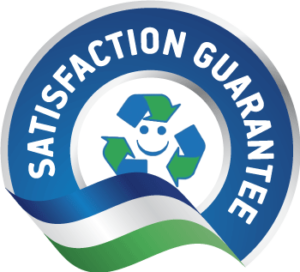 Our team is happy to both pick them up and dispose of them in an eco-friendly manner. Propane Tanks: Although propane tanks are refillable, once expired they need to be replaced. If the fluid is completely drained, we will accept and safely recycle them. Classified as hazardous, propane tanks can cause serious injury or death as well as damage to the environment if disposed of improperly. Rest easy knowing our trained professionals will safely handle and dispose of the hazardous materials for you. Curious about an item that we didn’t cover? Take a look at our website for a full list of recyclable items, or tweet us @happystans with your inquiries!